Does your little scallywag deserve a new sweater? How about a comfortable, easy-to-wear (and put on) pullover in easy-care cotton. Just right for cool summer evenings on deck. Worked flat with one-row stripes, the generous bateau neckline fits easily over squirming heads, while single button adds a little verve. Sleeves are “just right” at the young end of each size and will be 3/4 sleeves for the older wearer—perfect for keeping out of the way when climbing the rigging. This version is worked in Mission Falls 1824 Cotton. You might surmise from the photographs that Penelope doesn't really like her sweater, but she has happily worn it before, with a grin even. Unfortunately, these pictures were taken at the end of our vacation, by which time she was quite cranky. I'm happy to report that she's in a better mood now, though still recovering from jetlag. 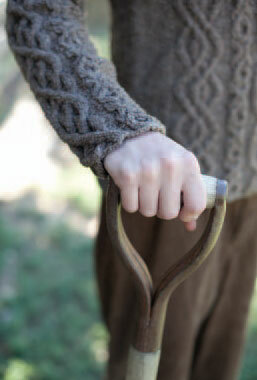 A version knit in Knitpicks Comfy Worsted will be released in July. And Isobel modeled that one, which was a hoot. Can't wait to show you some of the poses! Deckhand is also part of the new ebook Avast No. 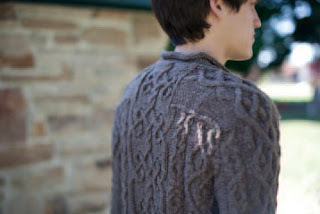 1: eight patterns for piratical knitters. Aphros (Greek for “sea foam”) is an airy and elegant stole that can serve as cover for your evening gown or over-sized scarf for your everyday ensemble. Gently undulating seafoam stitch, simple yet beautiful, forms the body, while a knitted-on lacy edging adds a graceful flourish to the ends. Lace is a wonderful project for travel—one ball of yarn, one set of (or circular) needles —whether you’re flying across the country or washed up on a deserted island. Plus, it's not too heavy or woolly in your lap. Pattern is written and charted, and includes helpful notes for getting started. 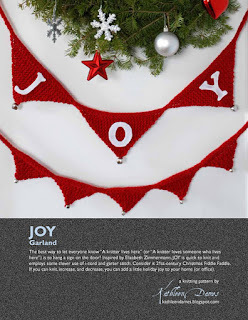 If you can perform a yarnover and work two stitches together, you can produce this lovely stole. Aphros is also part of the new ebook Avast No. 1: eight patterns for piratical knitters. 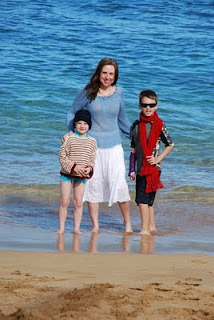 Greetings from beautiful Maui! We've had a lovely week here, lots of swimming in the pool, enjoying the sun before it gets too intense (Isobel got a light sunburn on her nose and cheeks on day two - very mild, and we've been extra-vigilant everywhere/when else since). I do wish we could just buy a vat of zinc and titanium dioxide and dip everyone in it a few times a day. 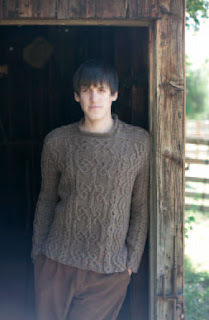 As you may have seen on Ravelry the other day, I've released half of the patterns for my first booklet, Avast No. 1, and the other half should be ready to go next week (a couple are out for tech edit, and I need a few more photographs for the other two - my smallest model is proving somewhat recalcitrant, and there is no arguing with a two-year-old, however close to three). So, I will be blogging about Wench, Night Watch Cap, Aphros, and the reissue of Captain Austen's Scarf over the next few days. 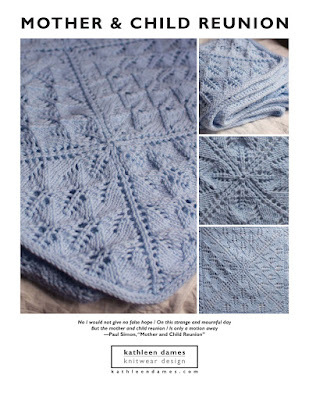 If you can't wait until the booklet is released and buy a pattern now, I will be happy to send you a coupon for the pattern price off the book. But that offer will only be good for people who buy individual patterns before the booklet is available. In the meantime, Aloha! from Isobel, Stephen, and me - Nick was behind the camera, and Penelope was sitting at on the steps down to the beach complaining about the sand. Bright and early tomorrow morning we're off to Hawaii. Hopefully the flights won't be too onerous, though I'm not holding my breath with three kids. Luckily, we're meeting up with the rest of Nick's family in SF and doing the second leg together - to a zone defense family, there is nothing like the prospect of man-to-man-plus (the plus being that there will be six adults to four kids while we're there). The collection is called Avast and will contain Aphros (a stole that has been waiting it's turn for quite some time), a baby blanket like my nephew's, Captain Austen's Scarf, a unisex child's sweater, a pair of laceweight mitts, Night Watch Cap (as seen back in March), a pair of worsted weight socks, and Wench (a women's linen sweater from the old blog). I think it's a good mix, and the patterns are filled with my usual chatty (and hopefully helpful) pattern notes. I've chosen lightweight yarns (linen, cotton, some laceweight superwash wool) and/or small-ish projects - perfect for summer I hope. And I hope this will be the first of a number of collections I produce, though this will probably be the only one with a Hawaiian photoshoot! Have a great week, and I'll try to get back to blogging more often this summer.